with one of Germany's best known musicians. The Alliance Series Wolfgang Niedecken is a full hollow, dual pickup, 22 fret electric guitar, featuring arched top and back, bent sides and a 648mm scale. It is based upon our Starplayer TV Hollow design and features some neat little extras directly fitted to Wolfgang's needs. And of course we also added some eye catchers. 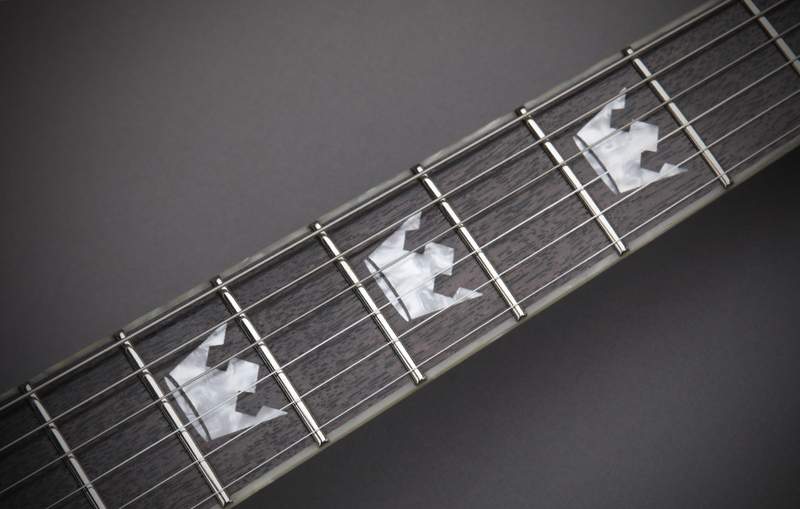 The three crowns on the fretboard both symbol Colognes city coat of arms and Wolfgang's personal Rock'n Roll heroes. 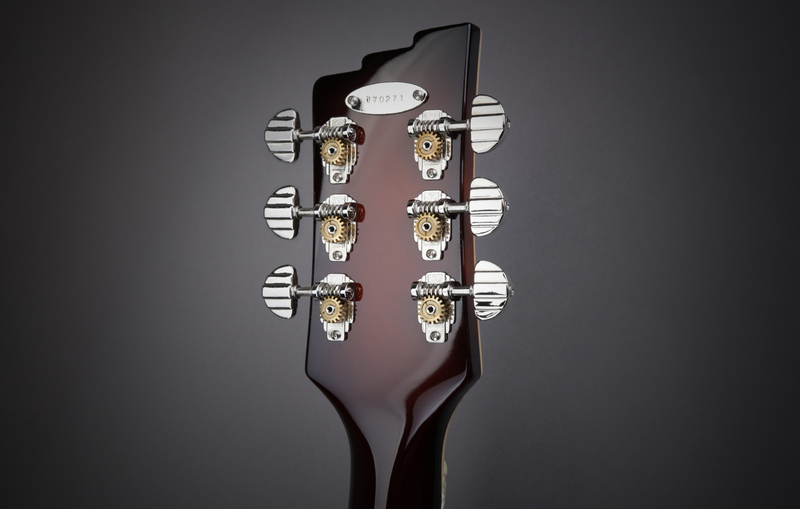 The star placed on the 12th fret represents the North Star - a constant which always provides guidance on your fretboard. Following the Starplayer TV Series essentials, this special edition sports an arched spruce top combined with flamed maple sides and a breathtaking arched birdseye maple back. We fitted this instrument exactly to Wolfgang's needs as a rhythm player and installed a set of our premium low output LittleToaster pickups which perfectly underline its vintage character. 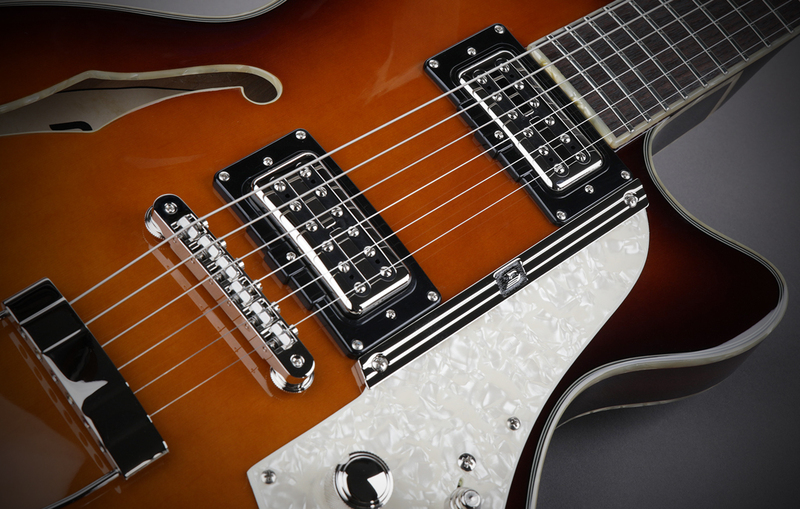 To minimize feedback from the hollow body, we designed a custom "Y" shaped component which supports the bridge and connects the top and back of the guitar. 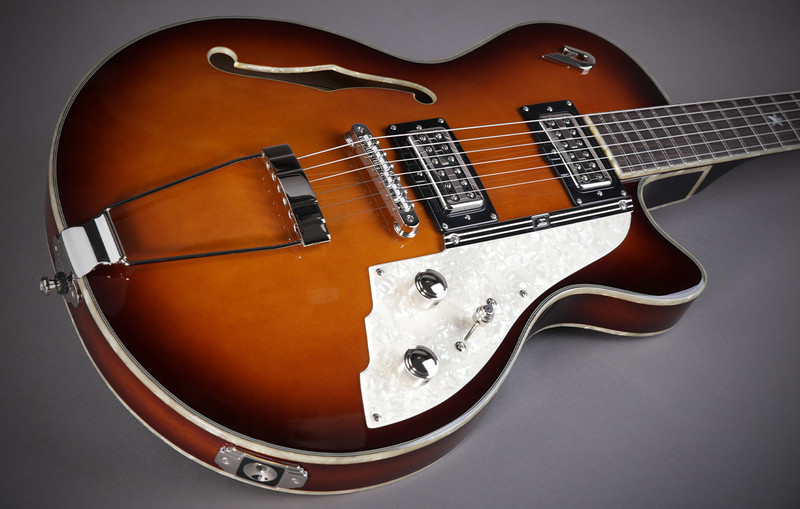 Additionally, the Alliance Series Wolfgang Niedecken features a real pearloid pickguard and binding, giving it the classic look and feel of a vintage instrument but with all the modern features you would expect from Duesenberg. The Alliance Series Wolfgang Niedecken comes in a beautiful Vintage Burst which is used on all parts of the guitar from top, back and sides to the neck and even the back of the headstock.